The New York Department of Transportation entered the 21st century when Janette Sadik-Khan served as its Commissioner from 2007-2013. During this period the agency redefined city streets by fixing aging infrastructure, adding a bike share program, modernizing the bus system, adding 400 miles of bicycle lanes and installing 60 pedestrian plazas. 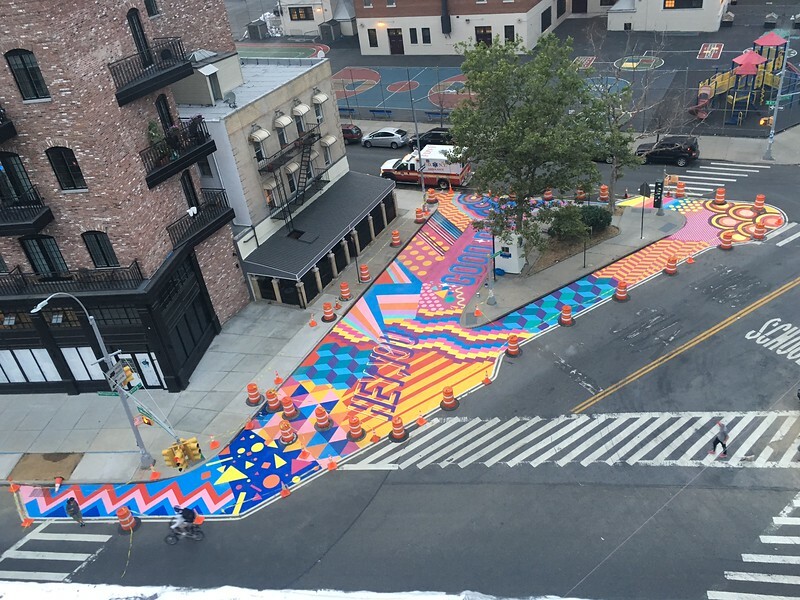 Yet DOT Art is probably the most underappreciated program yet highly effective programs undertaken by NYCDOT to create attractive streets. 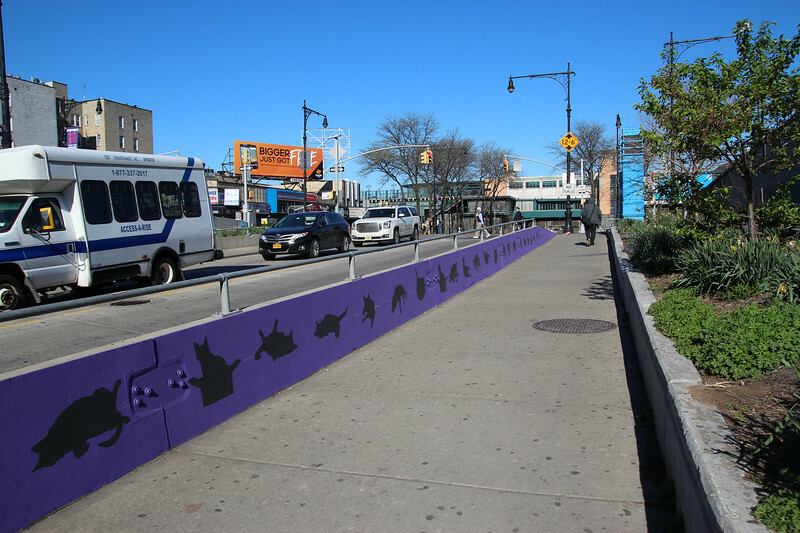 DOT Art views transportation infrastructure as a blank canvas that is ready-made for temporary public art installations. 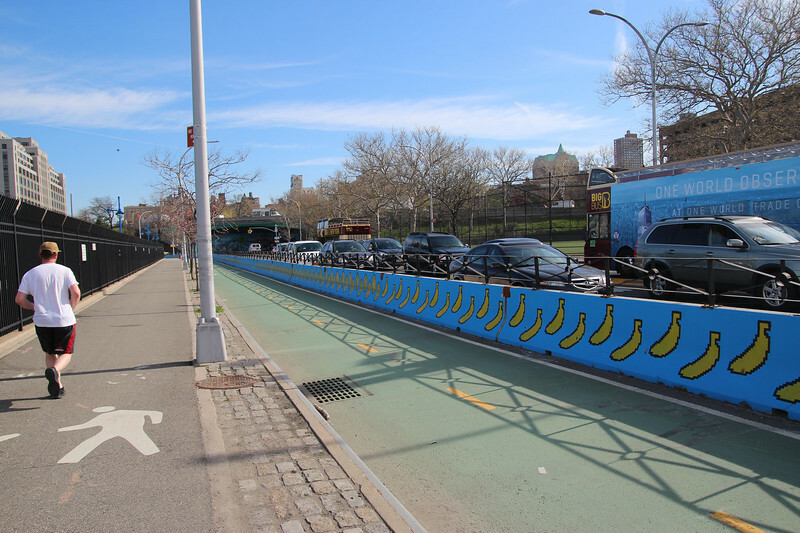 Working with community-based organizations and artists, NYCDOT transforms traffic barriers into block-long murals and illuminates dark underpasses with visually stunning light displays.